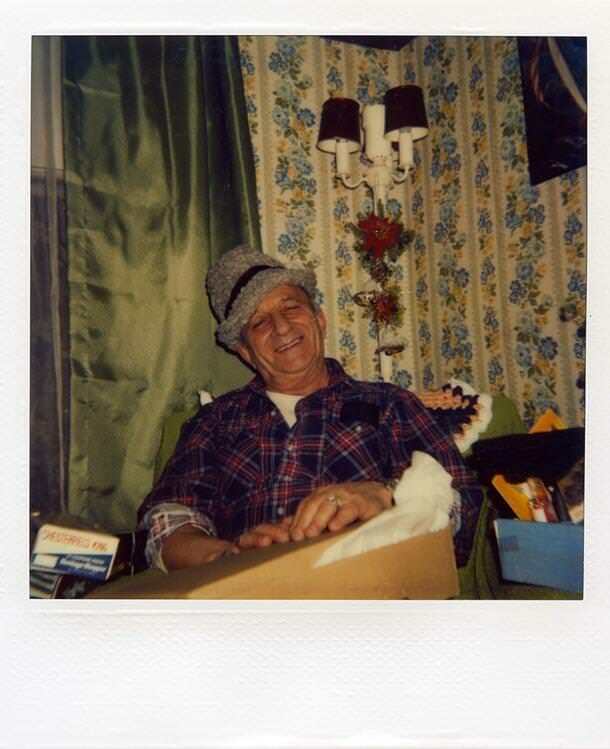 Home Ideas Could You Be In These Mystery Polaroids? 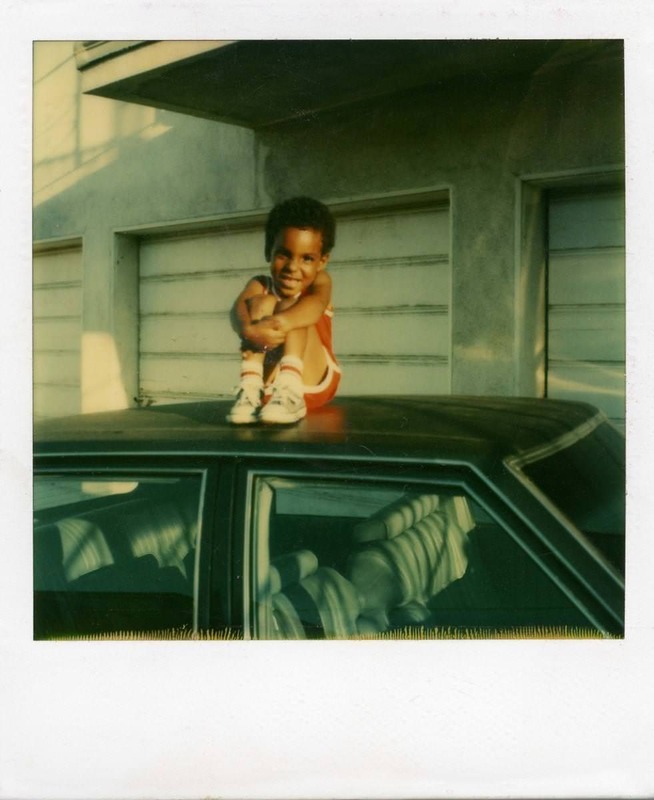 Do you spot a familiar face amongst these polaroids? Or maybe even yourself? 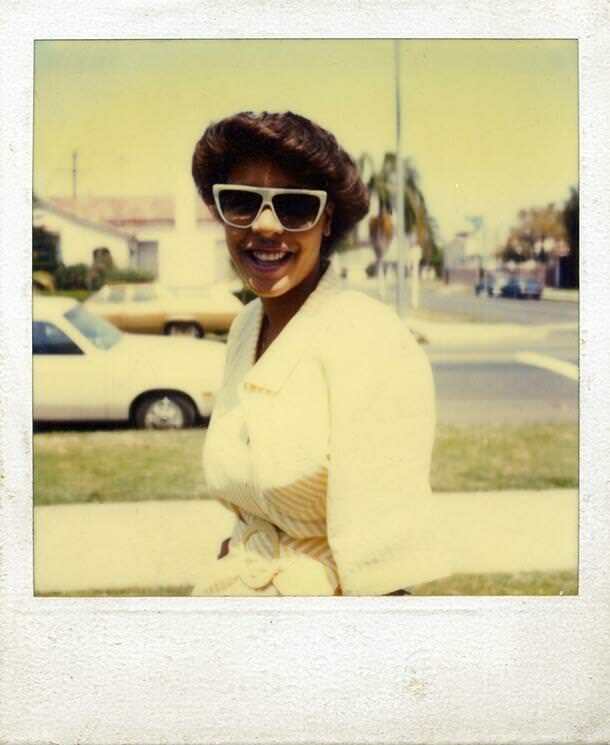 Over several years researcher and photographer Kyler Zeleny has collected over 6000 polaroids, found in a variety of places. Each tells their own story, but whose story it is he doesn’t really know. 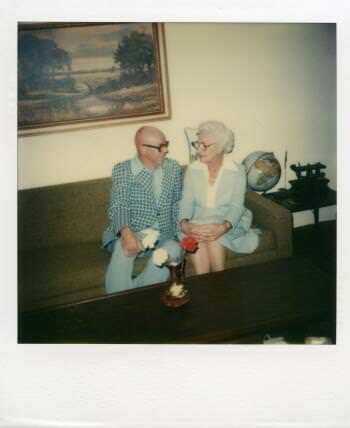 That’s why he launched Found Polaroids, in the hopes of solving the mystery behind this vast selection of imagery. Zeleny has put the snaps onto his website for people to search through in the hopes of finding their original owner, but he wants viewers to add their own context to the images. Zeleny is interested in the “unknowable” element of photographs, in particular: “who were these people, what did they do, and more importantly where did they go?” He invites the viewer to write their own fictional version of what they believe is going on in the pictures, so even if the polaroid never finds its original owner it takes on a new life all of its own. Take a look at some of the images and their intriguing stories below. 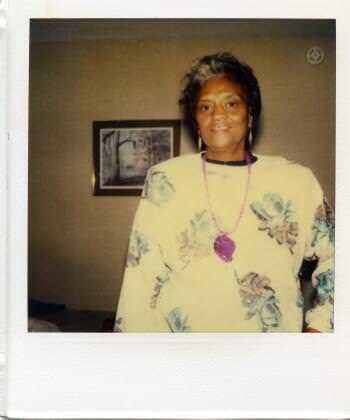 You wouldn’t necessarily know it from looking at the photo, but this was the happiest moment of Irma’s life. How do I know this? Because I took the picture and then ten minutes later drove her downtown to the Justice of the Peace so she could marry Albert. He was the love of her life after 48 years that hadn’t given her much. That purple pendant she’s wearing was the first gift he ever gave her. According to Albert it was a rare gemstone, but to everyone else it looked like something from a carnival. Irma couldn’t care less, to her it was as priceless as Albert himself. If their romance wasn’t a whirlwind, it did offer a steady light breeze in the form of constant warm companionship. They would take turns cooking simple dinners in their apartments, then attend a free lecture or slideshow at the library. If weather permitted, they might finish the evening holding hands and taking a long walk along the shady streets of our small town. As you might guess, she was a nervous wreck getting ready that morning. Up early, fussing over her makeup and nails. Giddy as a schoolgirl. She must have put on a half dozen outfits trying to get just the right look. She didn’t own any decent dresses so in the end settled for her best top–something with flowers and bows. When I finally pointed the camera and said “Smile!” she gave it her best shot but I think she was still stunned that something so wonderful should be happening to her. Albert said to meet at City Hall at 10:00 o’clock sharp and we got there a few minutes early. Irma paced back and forth in the hallway, looking out the window and checking her watch. Ten o’clock came and went, then ten-thirty, then eleven, then noon. We found a pay phone and called but were told the number was no longer in service. Like I said, that picture was the happiest moment of her life. 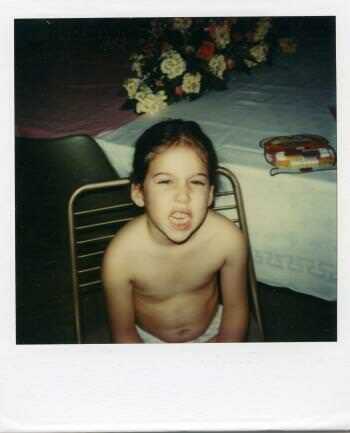 She was always making that face, so I don’t remember her smiling a lot as a child. She did it so much she finally got the reputation at school as a “a tough nut to crack.” Someone downtown at the market called her “a real piece of work” one day after a particularly intense shopping trip in which she made two kids cry and one adult, who was innocently shopping in the same aisle, leave abruptly. It was hard to ignore. She scowled at cars for moving towards their destination, at tree leaves for falling, at flowers for blooming, and sometimes at the clouds for floating in front of the sun on the most beautiful fall day imaginable. One particularly cold morning, as I stood with her at the bus stop, staring at the steam rising from my coffee and silently cursing the approaching Midwest winter, I happened to see something out of the corner of my eye that was not a scowl. Sort of. It wasn’t a smile either, but the tense muscles around her squinted eyes, the upturned lip, and the bared teeth were gone. She was calmly looking up toward the sky, watching two sparrows chase each other from tree branches to wires overhead, a game of tag that ended abruptly as a squirrel came bounding precariously out of nowhere down the birds’ wire, startling them both and causing a flurry of squawking and feather loss. She came back to the world, clearly amused, and we locked eyes for a moment. I braced myself for the worst. Just then, the bus pulled up along side us, and she broke my gaze and scowled at the squeaky brakes and then at the driver after she said, “Good morning, Hon.” Through the window I could see her scowling at the girl in front of her who had turned around to show her a new babydoll. The bus slowly pulled away, and I stared in anticipation through the window. But she never looked back. Next articleCan You Believe These Sci-Fi Technologies Actually Exist Now!